I missed out on this when it was published, there was an interesting article on the Daily Mail website back in July which highlighted a decline in the popularity of oranges. The reason? Because we're too lazy to peel them. 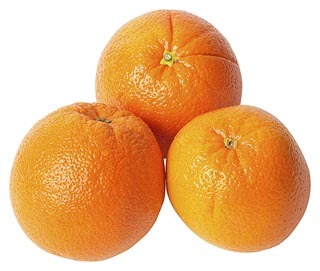 Apparently tangerines and clementines are becoming more popular because they are easier to peel. I have to say, I empathise completely. Oranges can be a real pain to peel, especially if you're doing it for an orange juice and have had them in the fridge to guarantee a cold drink. That's why, if you mainly want the juice of citrus fruits - oranges, lemons, limes, grapefruits - a citrus press juicer is a better way to go than a centrifugal juicer. Just slice the fruit in half and press it down on the reamer to get lovely juice, and with none of the hassle of peeling.